Full Information about IRDA agent exam?What is the Eligibility Criteria and Qualification to write this Exam? what we have to do for the agents exam of IRDA? From where the form is taken and submitted? what is the fee and minimum qualification? Does diploma holder eligible to apply for irda examination? When is the IRDA Examination date and last date to apply for it? What is the eligibility criteria for technical officer? Full details about technical officer? Indian Navy and Air Force eligibility criteria? Re: Full Information about IRDA agent exam?What is the Eligibility Criteria and Qualification to write this Exam? 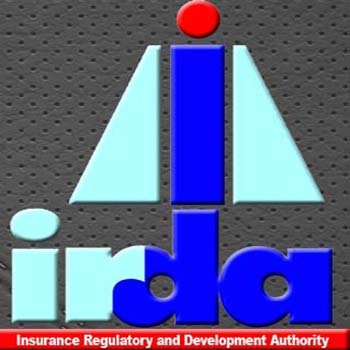 IRDA stands for Insurance Regulatory And Development agency. The minimum qualification to become an IRDA agent is 10 or 12th passed out. The concept is behind is TAX REDUCTION and providing INSURANCE. The entry fees is depend on insurance company minimum.To become an agent you have to qualify the exam. The purpose to conduct the IRDA agent exam is to recruit Insurance Agents. This exam is conducted either offline or online. The syllabus is completely related to the insurance.The candidates are also required to qualify the practical sessions. The candidates should have maximum knowledge of the insurance field.The Eligibility criteria and the minimum educational qualification required to appear for the IRDA Agent exam is 10+2 or equivalent in any stream from any recognized institute or Board etc. The examination fee is Rs. 250/- only. The minimum age required is 21 years. :: This is conducted by the Insurance Institute of India and every year conducted this exam through competitive exam for recruitment of Insurance agents . 1.You should completing the 12th from recognized university or board. 2.You should be Indian citizen. 3.As per govt. of India ,the apply candidate place population is more then 50000,he should pass only 10th standard or equivalent examination from a recognized Board. 4.Only objective or multiple choice questions and 2 hours duration. 6.The qualify marks are at least 50% of marks . NOTE:The IRDA exam can be given in two modes, online and offline. You need to undergo 100 hours of classroom training by Insurance Company based on the IRDA syllabus. After completion of training, have to appear for the examination conducted by the IRDA. >> IRDA entrance exam is conducting for recruiting Insurance agents in various Insurance Companies. Insurance Institute of India organizes this exam. It is an All India examination conducted on every year for appointing the insurance agent. >> People who wish to acquire or renew a license to work as an insurance agent or a composite insurance agent in country need an IRDA License. IRDA is a Government agency. It was formed in the year of 1999 under the Indian Parliament Act. IRDA started with an aim of save the interest of the policyholders and providing them better safe treatment. >> IRDA exam is conducted in two modes. Candidates can select Offline or Online mode. >> The examination questions will mainly cover from the subjects of insurance and loans. It also covers regulations and their general application. >> The candidates who wish to attend IRDA examination should need a well preparation, determination and concentration counts a lot. >> Candidates need to pass the 12th standard in order to appear for the exam. Minimum age required is 21 years. >> Candidates have to attend practical session also in order to be qualified. One hundred and fifty hours of practical education in life and general insurance from any approved institution is a must. Cost of the application form for IRDA license is Rs.250/-. Applications for renewal have to submit at least thirty days before the expiration of the license, along with the renewal fee of Rs. 250. If the application is not submitted at least thirty days before the validity ends an extra charge of Rs.100 is payable. details of agent exam on 29 may 2012 ? To whom we have to contact regarding with the details and examination information for the same ? thanks for uploading sample question papers. Is B.E. (Mech) eligible for motor insurance surveyor?